As today’s overall business environments become fast paced, increased communication demands rise as well. Complex data requirements processed from day-to-day methods must keep pace with these augmenting demands. Struggles have been designed to enhance communication strategies related to the essence of real-world business. The result of high technology research prides the introduction of the great Avaya Communication to hit the world’s business and telecommunication market. 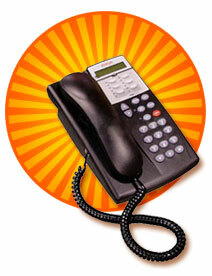 Avaya provides a telecommunication service which specializes particularly in telephony and call center technology. It offers programmatic solutions for tracking important events and data such us voice, messaging, customer relationship management, and multi-service networking. These solutions incorporate with business process applications in predicting future events. Many factors can impact daily business outcomes. It is just important to search for programmatic solutions for keeping track of each significant event. Avaya Communication is designed to help businesses optimize their operations and improve their return on the up to date technology investments. It reorganizes human engagement in important business processes. It speeds up the actual detection of business events making current business processes more efficient. Avaya communication system responds by handling real-time multi-channel featured communication. This feature reduces the incidences of human delays and manages communication details just right in time. Its communication system and software is capable of enhancing operational effectiveness, worker efficiency and most importantly, customer satisfaction. Avaya Communication is the first of its kind to mark a milestone in implementing intelligent capabilities. Being the first solution to make cost-effective and practical outcomes by using high-level composite web services, Avaya is used in most business processes in almost all enterprise. Another first that Avaya Communication prides of is in helping business transform their processes by the use of both sense and response technologies that are integrated together. This intelligent communication has the capability of analyzing multiple source information in real time sense events. Also, Avaya is known as the first to bring a two-way communication that is a closed loop which actively keeps the business developments moving. Avaya, being an auditable part of business processes, offers the first real time communication which is an essential operation in the business process. Avaya Communications are really first of the firsts when it comes to enhancing business communications. Avaya Communication has been widely used in almost all corporate settings worldwide due to the very many advantages that it offers. No human efforts can ever replace the many wonders that Avaya can generate. By using Avaya as the sole means of communication, many companies like call centers are working smoothly without the frets. It offers the smartest and most intelligent choice in the telecommunication industry for it is really focused in enhancing results using efficient interactions among the employees, suppliers, and customers. The future of Avaya Communication is the world of today. Without them business processes could never be this great and successful while simultaneously giving businesses their competitive edge.